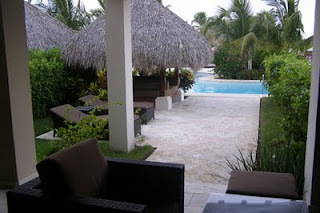 My trip to Punta Cana was especially great thanks to the wonderful food and spirits at Paradisus resorts. I just found out that they are going to duplicate the twosome effect by building two brand new hotels in Playa del Carman. The Paradisus Playa del Carmen La Esmeralda (for families) and Paradisus Playa del Carmen La Perla (for adults only) will open at the end of this year. Expect a beautiful landscape of swimming pools, bars and restaurants with butlers in Royal Service and swim-up suites (like the one in the picture) – all on a private bay at the edge of the Caribbean. A unique aspect to these resorts is that while they will be individual, they will share “El Zocalo,” a common area that has restaurants, bars, life-enriching activities and a YHI Spa. It looks like it will be spectacular -- check out the video.